On Jawaharlal Nehru’s 128th birth anniversary, many of his political, philosophical and cultural ideas appear to be under assault. Nehru, the first Prime Minister of India, is in danger of being ghettoised as merely a Congress party politician. 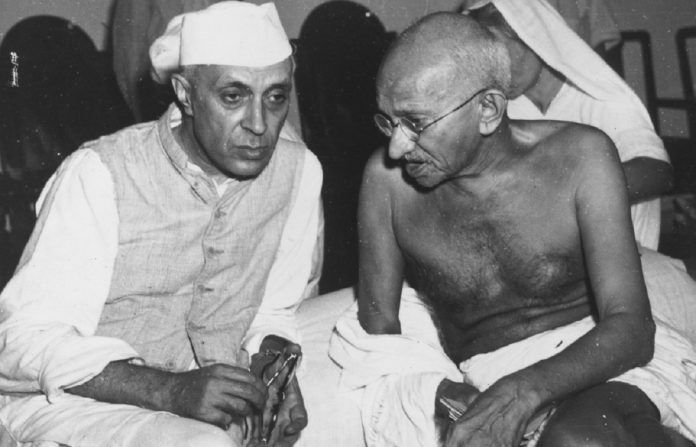 Will Nehru’s political and philosophical vision for India endure? Jawaharlal Nehru was not original in his views. He was of a poetic nature, but his views were formed by the liberalism in Europe and Fabian socialism. After a visit to Soviet Russia, he became a life-long admirer of Marxism, though sometimes he condemned reprehensible acts of the communist regimes. Yet his policies and programmes in independent India were much influenced by the Soviet model. Likewise, they failed too. Nothing of Nehru’s vision could endure. Life and events in India and abroad are moving in a far different direction. It is not an assault on Nehruism, but a natural occurrence, as we move on from faulty ideological constructs about our society that Nehru held. It was P.V. Narasimha Rao, a Congress leader, who liberalised the economy. This was not disrespect to anyone, but a result of experience in India and the world. Nowhere did socialism succeed, so India’s march towards socialism was also cooled and reversed. It should be taken in one’s stride. As to the most contentious issue, that of ‘secularism’ as formulated by Gandhi and Nehru jointly in Indian polity, it was distorted from the beginning. Here, secularism is not the concept as understood in Europe, the place of its birth; it is a regular pro-Islamic and anti-Hindu practice and theory. Repeated and bizarre applications of this theory have discredited the concept here. In fact, anti-Nehru and BJP politics benefitted from the same. It is not the other way round. If India has moved past the Nehruvian ideas of socialism and secularism, it is not a result of others’ propaganda, but a result of people’s prolonged bad experience. Therefore, Nehru, and Gandhi too, should be placed peacefully in the line of historical figures. Nothing much in their legacy is of philosophical or enduring value. Shankar Saran is a Hindi columnist and professor, Political Science, NCERT. Nehtu’s vision of India has left an indelible lrgacy to build upon specially in the srea of science and technology. He will inspire many generations that cares to read dispassionately and believe in his vision of India- secular, non partisan and prpetually progressive . However much one is tempted to denounce Gandhiji’s ideals (which he practised and are therefore his legacy) as not of enduring nature (perhaps for narrow political gains), they will remain the beacon for us human kind forever. I am referring to truth and non-violence. I am sure most of us realize in our own lives that path of truth pays far more dividend than untruth, if not in the very short run, certainly in not so long run. And how can any one propose that non violence is a lost ideal, unless he is arm-chair theorizing? These were the same ideals that Mahaveer, Buddha, Guru Nanak and so many more of our historical and cultural icons practised and exhorted. As for secularism, there was nothing wrong in Gandhiji’s or Nehruji’s legacy but electoral politics of Congress in the post Nehru era distorted the ideal completely. I really doubt whether Nehruji ever needed to practise the kind of secularism that came to be associated with Congress much later.